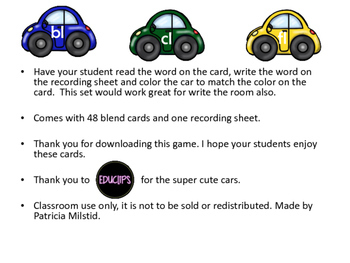 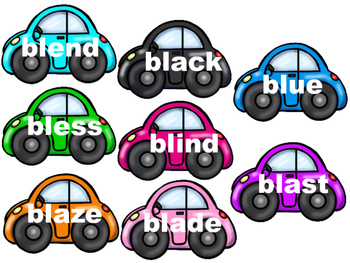 Read Write and Color Blend Cars comes with 48 blend cards and one recording sheet. 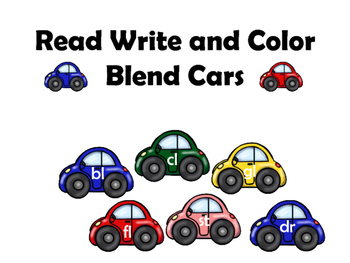 Have your student read the word on the card, write the word on the recording sheet and color the car to match the color on the card. 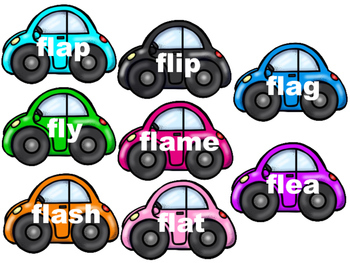 This set would work great for write the room also.